A man who punched a fellow man in the mouth in a street attack has avoided a jail sentence. 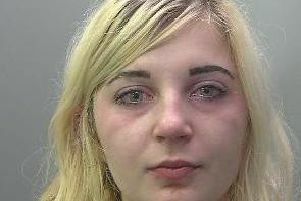 Lee Thompson attacked the man in Chase Street, Wisbech, in October last year. The victim was left needing multiple stitches in his mouth and was taken to hospital by police following the broad daylight assault. Yesterday (Thursday) Thompson (34) of Beechwood Road, Wisbech, was given a suspended jail sentence after admitting one count of assault occasioning actual bodily harm. Claire Matthews, prosecuting, said Thompson knew the victim through Thompson’s partner’s brothers. Miss Matthews said: “He punched him, causing the victim to stagger backwards. “The victim ran off, to go to the police, but he managed to flag a police car down. He was then physically sick, and taken to hospital for treatment. The court was told Thompson had 32 convictions for 97 offences, although only a small proportion were for violent offences. He was given a 30 week sentence, suspended for two years, and ordered to take part in a thinking skills programme and a rehabilitation activity requirement. He was also ordered to pay £250 compensation within six months.